I should start with this disclaimer that I am not much of a landscape photographer. I reckon that it is largely because I just don’t think that a static image can really capture the beauty of the world that we see through our eyes. Once in a while, though, the moment does get the better of me and I end up clicking the landscape that I see in front of me. Usually, these weak moments happen when all I have with me handy is my iPhone. And since I don’t really count these in the same category as my DSLR pics, I can continue to maintain this studied indifference to landscape photography. On this trip to Ladakh, though, these weak moments did happen when I had my DSLR handy – who can blame anyone for such weak moments in such a majestic landscape. So, when they did, I was alert to these moments and decided to experiment with stitched panoramas – operative word here being “experiment”, which basically means that the images are nothing special. To start with, a stitched panorama is nothing but a series of images taken and stitched together (more on that later) to form a panorama. The output is just like what you get when you take a panorama image using your iPhone – except that you do the ‘stitching together’ much later (when you get back to the room or, in these cases, when I got back from the trip and found time – more than a month later). The first thing is to remember that when you are stitching images together, all the images that are being stitched need to have exactly the same exposure. Any exposure difference between images will get rendered as a distinct line when the images are being stitched. The best way to ensure this will be to meter the entire scene that you would like to capture and select the most optimal one. Switch to Manual and dial in these settings. The next step is to mentally mark out the entire frame that you want to capture and pan the frame while viewing it through the viewfinder. While you are doing this, the idea is to make a note of the points where the frames will overlap each other. Ideally, you would need to ensure that there is a 20% overlap of each successive frame which would allow the software (which you would use for post-processing) to overlay these images exactly. Plus, as you will discover when you are post-processing, there are a few options when combining images into a panorama projection and lower overlaps, sometimes, could result in blank holes in the final image and waste all the effort taken. (Note: if your are stitching multiple images both horizontally as well as vertically, this gets trickier as you have to keep both the horizontal and vertical overlaps in mind). The third step is then clicking these series of images that way that you have planned above. Just remember to ensure that you pan along a steady horizontal line while clicking the sequence of images. And then you are done for the moment. As for how you stitch these images together, my go to processing tool is Lightroom. While I am sure that this is as easy on other tools, this is the one that I am familiar with. If using Lightroom, read through this lovely step-by-step guide that has explained the entire process extremely well (https://photographylife.com/how-to-create-a-panorama-in-lightroom). And thats it. 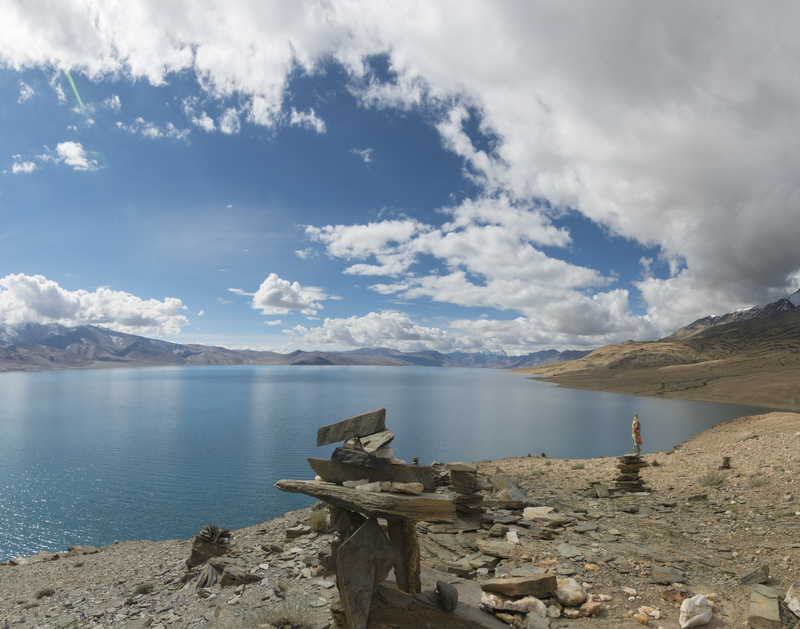 Here are some stitched panoramas that I shot on the trip.